For many real estate professionals, the first year is the hardest; however, our recently released 2018 Real Estate Agent Income Guide reveals a big incentive for sticking around: the average real estate income doubles after year one. 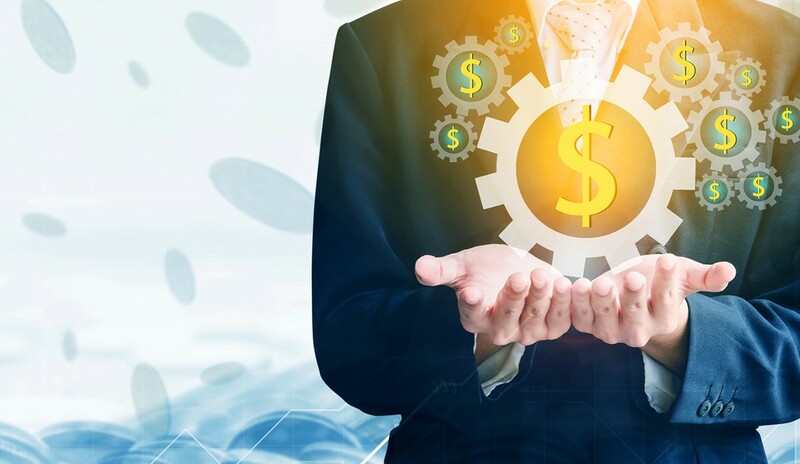 Agents in the study reported earning an average of $19,375 when they had been in business for under a year; agents with 1-3 years of experience saw their earnings increase to $41,023. It doesn’t stop there—longevity in the business continued to be a strong predictor of take-home pay throughout an agent’s career. 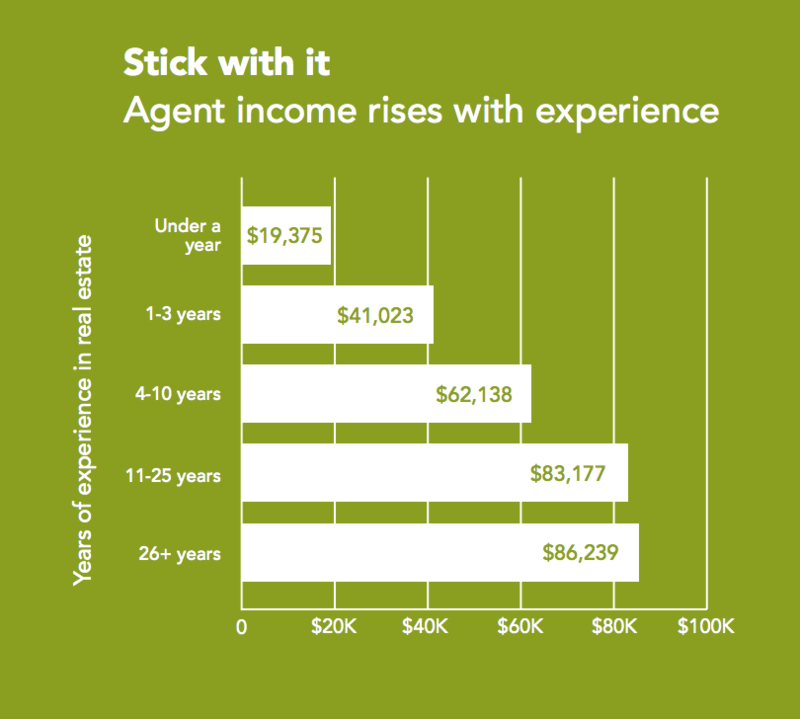 Agents with 4-10 years of experience reported an annual income of $62,138, and that number jumped to $83,177 for agents with 11-25 years of experience and went as high as $86,329 for agents who had been active for more than 26 years. The jump in income after one year may be welcome news to agents who are struggling through the early stages of their career. So, what can new agents do to make it through the first 365 days? And how can their brokerages or fellow agents help them out? Focus on money management and saving – A real estate career requires initial investment capital for licensing, brokerage fees and marketing. First-year agents need to have a clear picture of the costs and focus on savings. Brokerage support – A supportive brokerage is an impactful ingredient to agent success. Leaning on the collective wisdom and resources of other agents helps new agents learn quickly so they start to find success sooner. New agents need to assess the broker’s track record on helping those new to the industry launch their career, including educational resources, commission splits and other fees. Mentor relationships – Having a mentor that new agents can look to when learning the ropes helps tremendously. Finding and cultivating a real estate mentor relationship can be the tricky part. One strategy to consider is an inverse mentorship. If you’ve already been in the business for a while, seek a mentoring opportunity where a new agent can teach you a skill you don’t know—for instance, building a website or social media management—and, in return, you can teach them other valuable real estate lessons. For more, read our entire 2018 Real Estate Agent Income Guide. Additionally, here are some ways to evaluate if a brokerage is a good fit, and, if you’re considering an inverse mentorship, here are some of the benefits. Tom Davidson is the general manager of Real Estate Express, the national leader in online learning for pre-licensing, continuing education and professional development. Davidson has nearly 15 years in the real estate industry. From sales training and product development to growing the business, his multi-faceted background encompasses crucial functions to a successful career in the field.